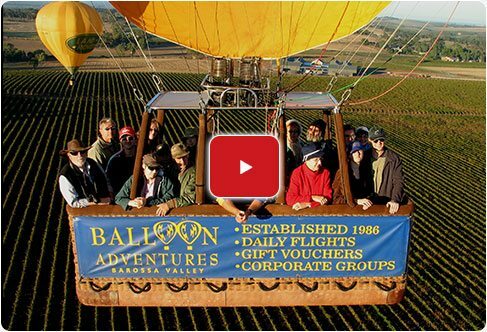 The balloon can fly up to 16 persons but is subject to a total weight limit. Your weight is needed at the time of booking to manage capacity and availability. Weather is not controllable nor guaranteed. If the weather is not acceptable for safe flying or your enjoyment, the flight will be cancelled. A full refund or re-schedule is then offered. Free Transfers: A pick up and return service is available from local Barossa accommodation, including the Novotel, Weintal and Vine Inn. In-flight Photography: All passengers have the opportunity to purchase in-flight photography on CD or USB and other souvenirs after the flight. We are not allowed to fly pregnant passengers. Before flying, all passengers are required to sign our terms and conditions. Children are between 6-16 years. We cannot fly children under 6 years of age. We fly for a minimum of 2 people and a maximum of 16. Monday to Friday (ex. Public holidays) 4 adults or more. Weekends and Public holidays 8 adults or more. Gift vouchers are valid for 12 months and are non refundable. As ballooning is extremely weather dependent there is no guarantee that the flight will be able to go ahead on the fist attempt. The recipient of the voucher may have to try several times to use their voucher. 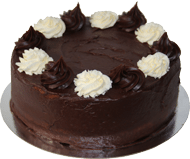 Please tell us if someone is celebrating their Birthday and we will provide a delicious Birthday cake at the breakfast – at no extra cost. loved one feel extra special.